London Toy Fair 2018 concluded yesterday with thousands of trade visitors visiting 270+ number of stalls. A news which came to us across the pond piqued our curiosity. Naturally, the staff members at TFW2005 looked into this new development. Based on what we heard, several Transformers: Robots In Disguise merchandise such as die-cast vehicles, RC cars and other stuff are getting reissued this year, but with what manufacturers and retailers call as “Transformers: Evergreen Branding“. New packaging artwork (including the backgrounds) has replaced the usual RID characters with Optimus Prime, Bumblebee, Megatron and Starscream in various poses. However, the actual content remains the same. Of course this transition isn’t just for Robots In Disguise. It seems as though more toys and merchandise are planned to come out as Transformers: Evergreen. Which brings us to an interesting speculation. With several budget market items by Hasbro appearing on shelves, there is a good possibility that there will be more Transformers: Evergreen toys with greater articulation and detailing for the regular market. Is this what will eventually replace Power Of The Primes? We don’t really think so, but it certainly is a curious topic to keep an eye on. More Evergreen based gadgets, greeting cards, gift items, stationary are set to appear at this year’s Spring Fair UK, as well. We are actually hoping to hear more at New York Toy Fair 2018. Tune into TFW2005 for the best coverage around. As a semi-Geewunner, I'd prefer a reboot that's 90% original characters to having any more "TLK Hot Rods". Regardless of that, there's plenty of other problems involved in those movies that I'm utterly sick of, I think a new (better handled) film continuity for TF's is sorely needed. People love to talk about how great change is, the movies are in dire need of it. But I'm open to a reboot , only if it doesn't cater to geewunners. 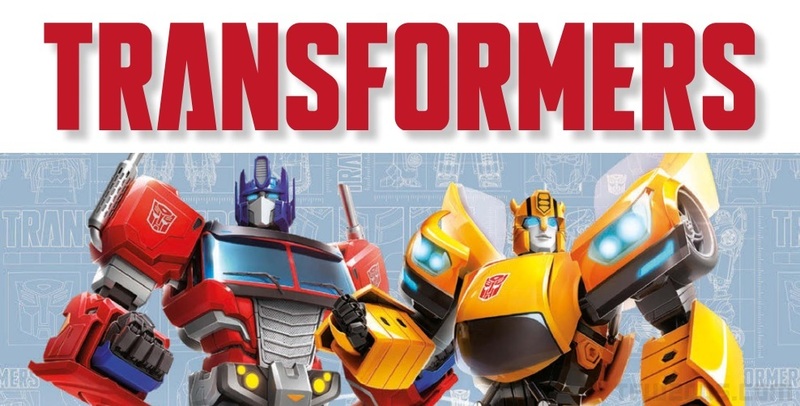 because Bayformers is now the longest running series of Transformers, we hoped for a reboot, but it seems Paramount is entrenching their position keeping their style and unfortunately defining Transformers for a whole generation. The layperson does not not that Transformers has many iterations. "But Transformers always changes," you say. to that I say, RIGHT! But for the live action series it has been unfortunately consistent. So in the past Transformers has made hard turns that people didn't like for instance Beastwars was a HUGE change that many were really upset about; but it didn't last ten years. Transformers basic aesthetic does not change that much from series to series, until you come to the live action movies. Suddenly we have moving shrapnel, alien faces, monstrous proportions and unrecognizable characters. I believe this Evergreen look is a definitive style evoking the cumulative changes that different transformers series have made and at the same time emphasizing the what has stayed the same. The one time the Bayformer aesthetic works is if the character is meant to look like their original incarnation in SOME form , my biggest pet-peeve is characterization however. Last I checked , Optimus Prime is not a raving lunatic who has a facial injury obsession , which started in ROTF and now it's Bayformer Optimus' most well-known trait. I'm not sure who to blame , Bay or the writers. I'm glad that Bayformers is trying to evolve past it's reputation , and I have a slight hope that it may improve. The Evergreen idea is something I'll support if it doesn't destroy what came before , basically. If it can go alongside Generations without causing a issue , I'll be very happy. And why did you feel the need to mention Bayformers? I believe this Evergreen look is a definitive style evoking the cumulative changes that different transformers series have made and at the same time emphasizing what has stayed the same. I'm on board, not only are these classic designs but the premise is a serious defence against Bayverse long term damage. Evergreen is just a term to describe these character designs and they are not tied to a specific continuity or past / current line. They will not date or be superseded due to the introduction of a new continuity, comic or movie. They could be used to produce basic toys, generation style toys or even masterpiece toys from now until whenever Hasbro wants. The designs could become standard for all packaging, point of sale and advertising to fill the gaps between tv shows, movies and comics. It’s not a new line called ‘Evergreen’ it’s just standardising a fairly basic and recognisable character design for key characters without the need for a new show, movie or comic. Kinda like a logo for the character that crosses continuities and media. Remember the Thrilling 30 line? That's what we need more of in my opinion. I'd rather see them do a dedicated "Beast Wars Year, Armada Year, Animated Year" than a random grabbag of characters. Very well said. I hope it sticks. I honestly have no problem with the idea of a consistent , all round TF branding but if it's going to wreck Generations , I'm not getting behind it. Also I prefer when Hasbro celebrates the brand's history , not just G1 and movie stuff. Heck , if everything is just going to be G1-based , where's the evolution? What's the ultimate point of staying in the past because it's "easy to recognize". To end this rant , I'll just say this : Hasbro needs to get their heads on straight if if wants to move forward. Remember the Thrilling 30 line? That's what we need more of in my opinion. At least the Evergreen/Authentics/Cyberverse designs look cool. JUST GIVE ME CHUG FIGURES OF THESE AWESOME DESIGNS. Just for clarity, can we drop the colon and just call it Transformers Evergreen? Or perhaps just Evergreen to minimize confusion. I understand what the initiative is for, and I just want there to be less people confused by what it is just because of how the title is written. Ah… Evergreen now a get it..
Just like Spider-Man figures still on the shelves and kids going over them. So this is the future for Transformers? FYI, we've had Evergreen Transformers for awhile now. The Cybertron/Minicon repaints sold at Dollar stores were part of the Evergreen Transformers line. The Legion-class repaints were the most recent Evergreen Transformers line. The Cyber Battalion figures at Walgreens is probably a test to see how well larger figures would sell within the Evergreen branding. And yeah, there's no reason to think these figures will replace any other sub-line of the brand as the prior Evergreen figures have never subverted prior sub-lines before it. There's simply no precedent for that. If nothing else, I'd like to see more "Evergreen" redesign art of G1 characters that haven't gotten as much exposure, like Hound or Astrotrain. Maybe even a Bulkhead or Barricade. I highly doubt this craptastic line will be the successor to CW/TR/POTP. Seriously? No one’s suggesting Generations will be replaced with the budget Authentics line, just the possibility of more complex, Generations level figures might be made using the evergreen designs.